This program is now booked out – please sign up to go on the waiting list. 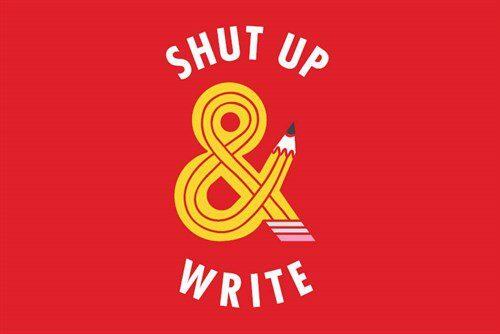 Extended Shut Up & Write sessions are now being offered every month to better support graduate students. SUAW is designed to help graduate students make significant progress in thesis and assignment writing. We use the Pomodoro Technique (25 minutes writing with 5-minute breaks) and teach the generative method to make sessions as productive as possible. We will provide you with information and resources to power your studies. You can work on anything you like but you must be writing. To ensure you get the most out this morning session, you will need to commit to attending the whole session (from 9:15am-1:00pm) after registering. Morning tea is fully catered. There will also be light snacks and you can bring your own. You will need to tell us if you have special dietary requirements. This Write-a-thon is about getting as many words written as possible. We recommend a laptop to get the most out of the day. If you do not own your laptop, you may need to borrow one. Note: You will be able to charge your laptop during the Write-a-thon. Think about being stranded on a desert island and having to write your thesis or essay… What three books or journal articles would you take with you? This confronting scenario is the essentials of generative writing and is how you should think of Write-a-thon. Leave your library at home. Think about taking great notes, such as those arranged using the Cornell method or in EndNote. We do our best to provide you with a safe and comfortable environment for the duration of Write-a-thon. You will be sitting down for hours on the day, however, and we will highly encourage regular stretching and short breaks. We also recommend good ergonomic practices, such as using a laptop stand and a wireless mouse and keyboard. The location for the half-day will be in the Foundation Life Members Room, 1888 Building. If you require wheelchair access, there is a ramp at the back of the building via Grattan Street and Swanston Street and a lift to take you to the first floor. By registering for this event, you are committing to attendance. If you fail to attend without notifying us of compelling reasons we reserve the right to limit your attendance to other SUAW events. Please read the program terms and conditions. A small charge of $15 covers some of your food and drinks and by paying it you are generously helping support GSA and sponsoring more programs for graduate students.